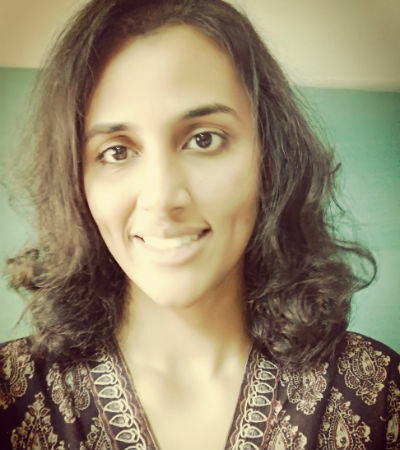 Allow me to introduce Kirthi Jayakumar, the author of the book, The Doodler of Dimashq, which on behalf of our team, I got a chance to read and share reviews for, recently. Neither this is the first book by Kirthi nor she is just a writer. She is an activist who work in many fields. Be it women’s rights in India or social activities, she will always try to do her bits for the society. She is quite vocal about the need of peace around the world and fearlessly express her opinions and thoughts about the same. And she just doesn’t stop by expressing the same, she actually works on the same, so we can call her a social entrepreneur as well. In addition to this she is a lawyer (specialized in Public International Law and Human Rights) and an artist too. She founded The Red Elephant Foundation which is active in various field and Kirthi’s work is acknowledged by many individuals, organizations, governmental and non-governmental bodies. I got a chance to interview her in the context of her book where we can try knowing more about her. Hi Kirthi, I am glad to have an opportunity to have this session and thank you for sparing time for the same. Please tell us something about you, your passions and your professions. Thank you for the opportunity, Jiten! You’re doing some amazing work, and it feels great to have the space here, to articulate. 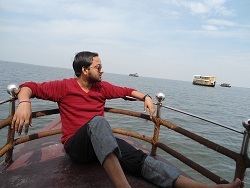 I live in Chennai, and work as a social entrepreneur and writer. I draw every now and then. I’m passionate about working hard to make a difference to the world, however small, and I strive to be able to, as Muhammad Ali said, pay my rent for living on earth. Can you share with us that from where and when the seeds of social work (and writing too 🙂 ) are implanted in you, and what is your source of inspiration for the same? I think it is a blend of a lot of things. My parents inducted my brother and me into volunteering when we were very young. They didn’t see us as “helping” anyone by being volunteers, but rather that we were doing what we were simply doing. In other words, it was as normal, regular and expected as breathing, eating and sleeping were, in our lives. Writing was something I indulged in along the way, and enjoyed it a lot. I think “inspiration” is a bit difficult to pin down to one thing, because every person I meet, every thing I read, every thing I experience… teaches me so much. Why do you think that you need to write a story on the Syrian war backdrop? Primarily, the idea of doing it was something a few Syrian friends had put into my head. They would tell me things like, “Look, you know what we are going through, you write – we don’t, why don’t you amplify our voices?” And as Volga said in a beautiful interview, (the essence of which I paraphrase as:) one must write, because these stories are important to tell. You’ve used the name Dimashq, while Damascus is more famous. Why have you decided to go with the former? This was something I consciously chose, because Dimashq is the original name. It is a good idea to link up the incidents in a way they can be associated with Doodling? Is there any specific inspiration or reason for making your protagonist a doodler? I don’t know if it’s a good idea – you should tell me, having read the book 🙂 There wasn’t any specific inspiration or reason, it was very unconscious, actually. An author takes inspiration from the real persons/incidents/situations. Can you share us more about the book characters and inspiration behind them? Of course, you’ve shared a remarkable amount of details in the acknowledgement segment of the book. Everything about the conflict is real. All the incidents, all the conflict episodes are real. The characters are fictional, and in some ways Ameenah is inspired by Anne Frank, and also shows some characteristics of N, one of my earliest Syrian friends. What do you think about the cover page of the book? Were you played an active role in the designing of the same? Yes. The cover page was deliberately thought out. We were not interested in triggering images, appropriating images or images that would play a clickbaiter’s role. The idea was too convey the story in one image. Why should one read The Doodler In Dimashq? I personally don’t believe one “should” do such-and-such things… I’m a believer in free will and would like for people to make informed choices. The Doodler tells an important story, and if a reader feels driven to read it, it would be great. To be honest, I don’t remember any of it as being enjoyable at all. I felt sad, and in deep grief, because we are so, so, so bereft of compassion that as a race, we fight for vested interests and claim lives as we do it. It’s incredibly sad that we are such warring people, and not peace-loving. It has made me consciously strive to be a better person, and to work hard at being compassionate and empathetic. As your hobbies include Writing, Reading, Art, Music, Dance, Wandering and Catching Falling Stars, can you tell us more about them? I guess these interests give me a sense of peace of mind internally, and help me address thoughts and responses to things that happen around me in the world. You are a movie lover and love to watch meaningful films, like The Boy in the Striped Pajamas right? Please let us know more about your this hobby. Meaningful movies are very, very significant for me. Every nuance, every inflection, is a moving learning experience. You love reading love books by Ken Follet, Jodi picocult and others, right? Can you name some of your favorite books and possibly why? Jodi Picoult, yes. I love most of her works. I enjoy Susan Abulhawa’s writing, most. She’s one of the best I’ve read, and will remain so for me. Her books, Mornings in Jenin and The Blue between Sky and Water continue to move me. My favourite book of all time is The Diary of Anne Frank and constantly revisit it to learn from it over and over again. “The Girl Who Stole my Holocaust” by Noam Chayut. Can you share your experience of finding publisher for your first book? It wasn’t the best, honestly. I approached a publisher who had me pay in part to publish and buy back copies. It was a harrowing experience because they didn’t help with marketing, or pretty much offer quality in their publication… I’ve had friends come back to me and tell me that the copies they received on ordering online were tattered… When I found Readomania, though, everything changed. They’re amazing! We need to coexist with nature, not destroy it for our selfish needs. As you are associated with many activities, and managing them all, can you share some time-management tips? I guess the key is to prioritize your tasks, and to constantly work hard, but to work smart as well. What, according to you is your biggest achievement so far? It’s important to use social media well – and not rely on false information. The key is to also avoid being triggering. E-reading is great, and holds a lot of promise for environment conservation. We can save so many trees. I don’t think so. I’m aware of many who are striving to, and successfully so, at keeping the tradition alive, so it really hasn’t died out. My friends at a beautiful organization called Tale Weavers are using the internet to tell such sweet, yet inspiring stories, for example! Please share your Social Media/web presence, so that readers can follow/contact you. Thank you for who you are! 🙂 I am who I am because of who we are together, as the word Ubuntu conveys. Here is an interesting TedX Talk delivered by Kirthi.